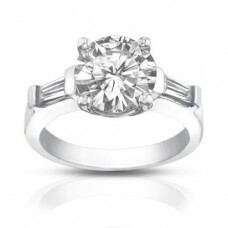 This lovely diamond engagement ring will steal your heart with its gorgeous appeal. 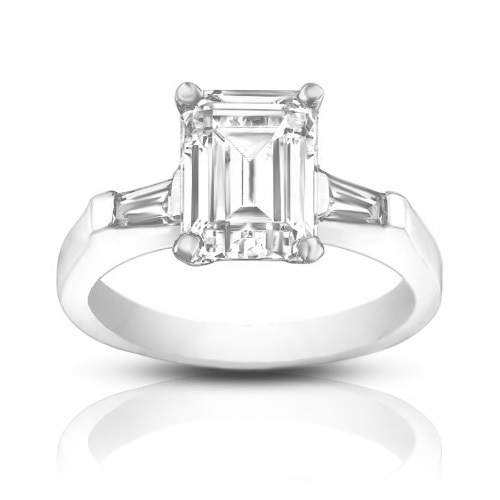 The center stone is an amazing emerald cut diamond with a weight of 0.75 carats. This diamond has a clarity of Vs2 with a color grade of F. Beautiful, Complementing the center diamond, are 0.25 carats baguette cut diamonds. 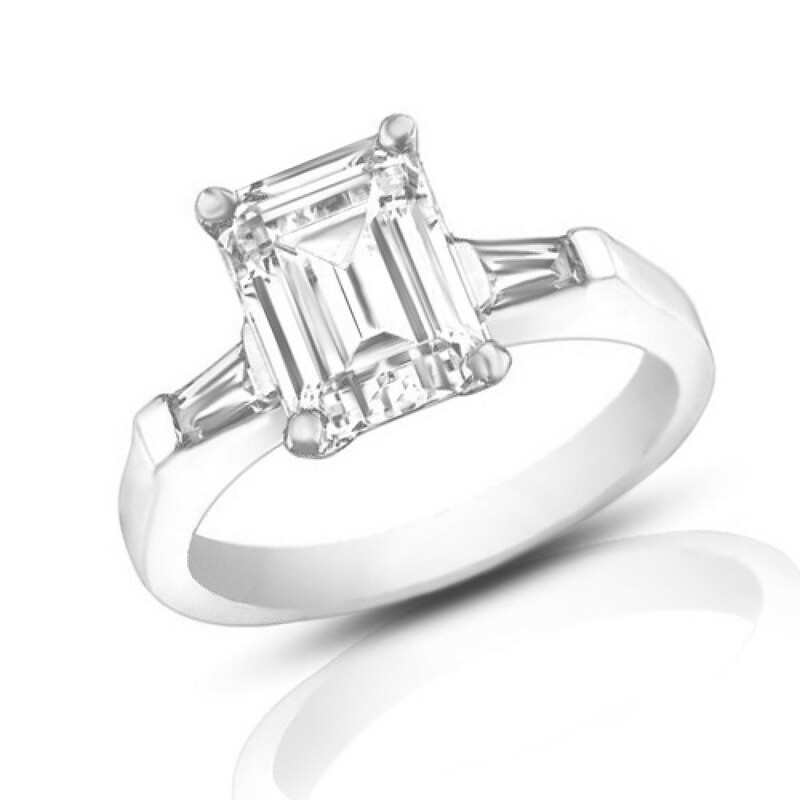 These glistening diamonds are Vs2 in clarity and F in color. 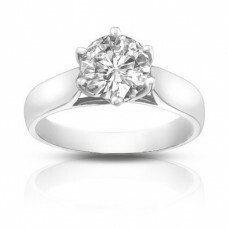 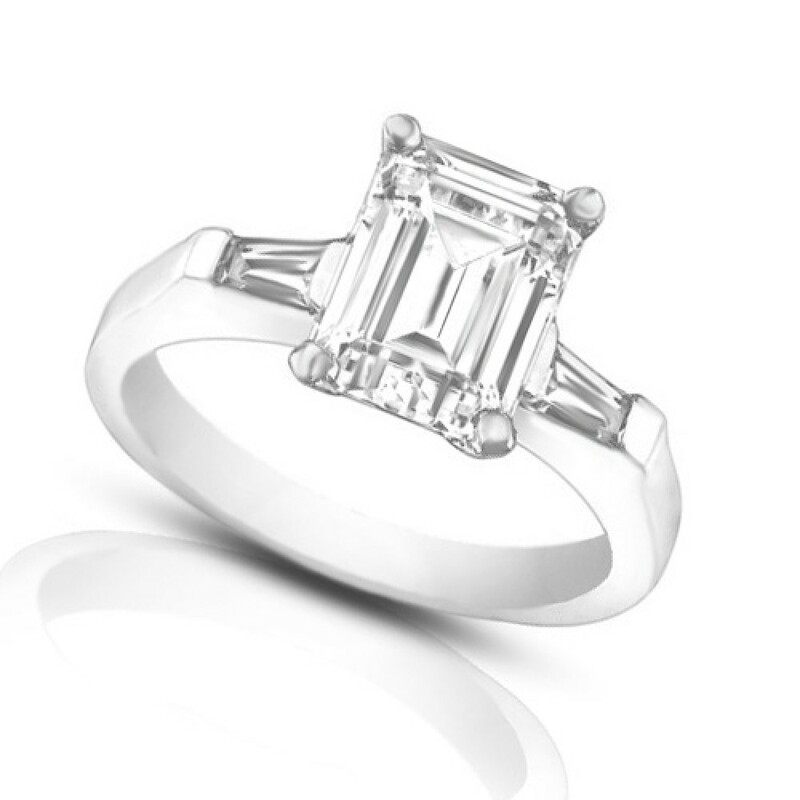 The lustrous setting is made of 14kt white gold or platinum with a total diamond weight of 1.00 Ct. 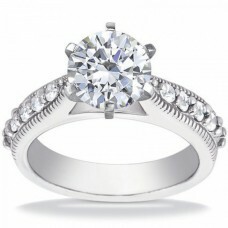 This luxurious diamond engagement ring has a vintage look because of the millgrain details along .. 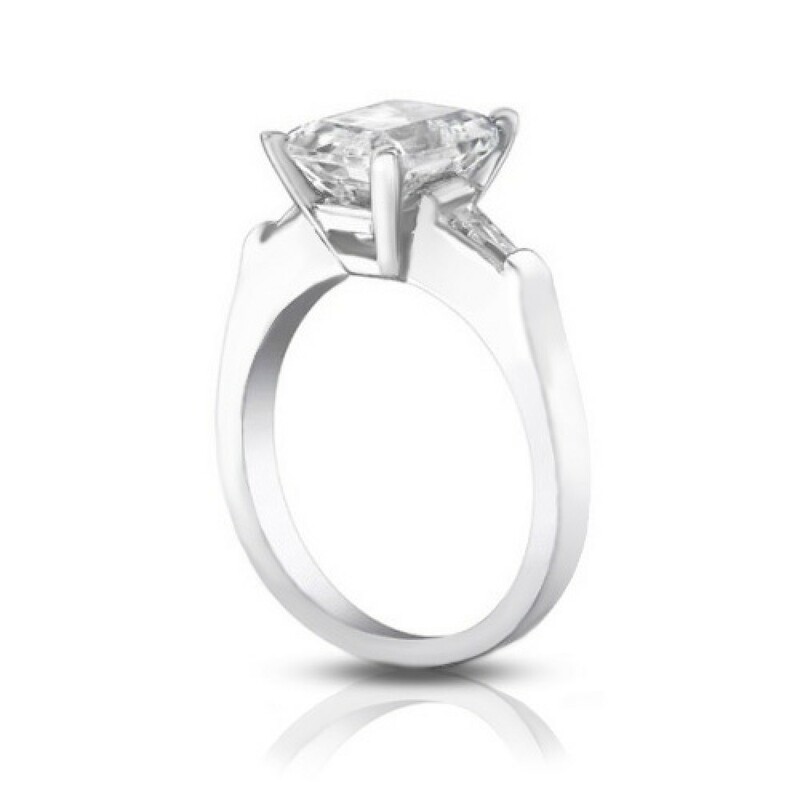 This 14K Gold Four-Prong Solitaire Engagement Ring weighs approximately 7.00 grams and showcase.. 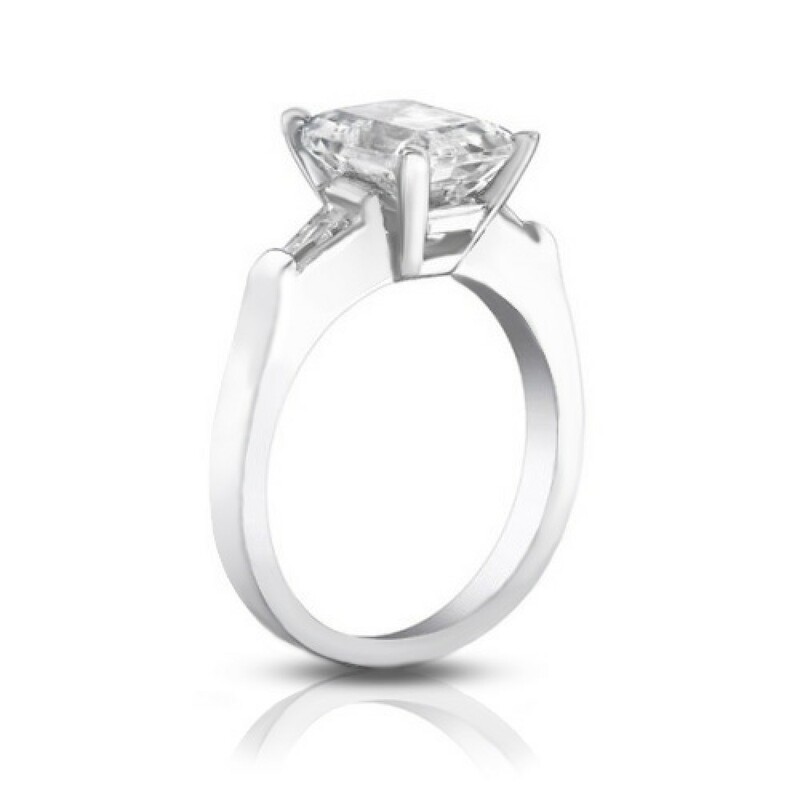 If the lucky lady in your life is truly unique, this is the perfect ring to celebrate her!..